It was understood as a game in development that was presented in society at the end of 2017, but with enough fear after so many years waiting for an heir of Top Spin. Shortly after its launch, the sensation is very different: Breakpoint Studio has created a fun video game with shades of future stars, but lacks some rhythm to finish the game. We see it in the Tennis World Tour analysis. Many hope the presence of some ex-developers of Top Spin at the controls Tennis World Tour , but the situation is easy to understand to contextualize that the means and budget of the Czech study of 2K is hardly comparable to the modest Breakpoint Studio . A circumstance that does not help raise Tennis World Tour in its first serve, crashing into the net a shot that was intended to end in ace. The second shot, accurate and without risk, is valid and allows you to win your particular game in the tennis battle that has been fought in consoles in 2018. Although without great bravado, promising touches are guessed that could be of help in the future. More than 25 licensed tennis players , with great absences in the male and female box, but with the possibility of realizing the dream of every racquet player: climb positions with your own tennis player to become the number 1 in the world. A realistic and varied proposal in the playable, with more than 15 tracks available and with (supposed) modifiers that alter the way of practicing tennis, depending on the terrain or the altitude at which it is played. 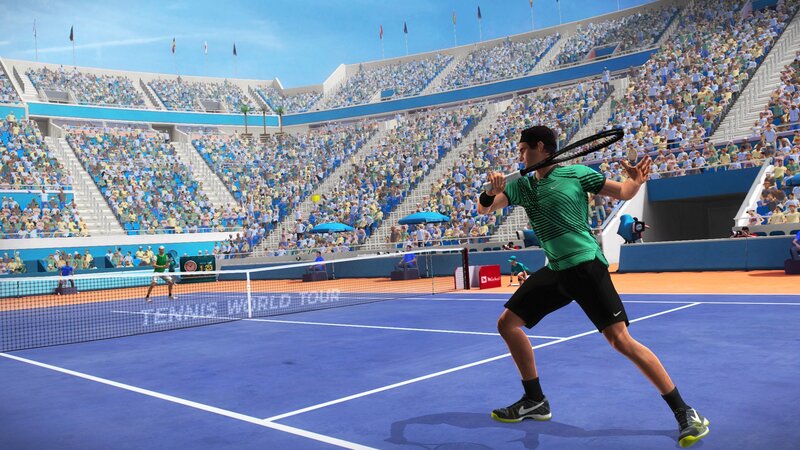 The important thing about Tennis World Tour, however, is the good decisions taken in the design of the game itself, granting unprecedented versatility and individuality to the controls of a genre title. Your main key? The letters of ability . The biggest “but” of Tennis World Tour, besides some debatable movements during the matches and some clumsy decision in the design, is in its mere presentation, which ends up distorting all its playful benefits for a poor visual and surreal finish in the sound. A shame. The young Federer: We all know Roger Federer : he stars in one of the most noble and sporting rivalries in history with Rafa Nadal and is an example of talent, humility and elegance on the track. Many will know that the current Federer has little to do with the young Swiss who began to climb their top positions in the ATP ranking more than a decade ago. Unconsidered, badly loser and arrogant, all his starlight were lost after his unfortunate attitude. I do not know if Tennis World Tour will one day be the Roger Federer of tennis video games, but I do know that there are a couple of parallels at the beginning of his (hopefully) long career. Roger Federer is the main face of the male tennis team; Muguruza is our female representative. In the visual, there is an important lack of animations that makes the left and gestures of the players very repetitive, leading the players created by the machine to become mere clones of the user with celebrations, gestures and attitudes traced that reduce credibility. Without entering the game mechanics, it is annoying to see some unreachable balls that are returned by the opponent. It is difficult to justify your simulator status when things like that happen, especially when you lose some important points in the exhibitions and tournament matches in the race. The scenarios, although tasteful and full of details, would improve if realistic animations were provided to the ball boys, judges or cameras that film the game. 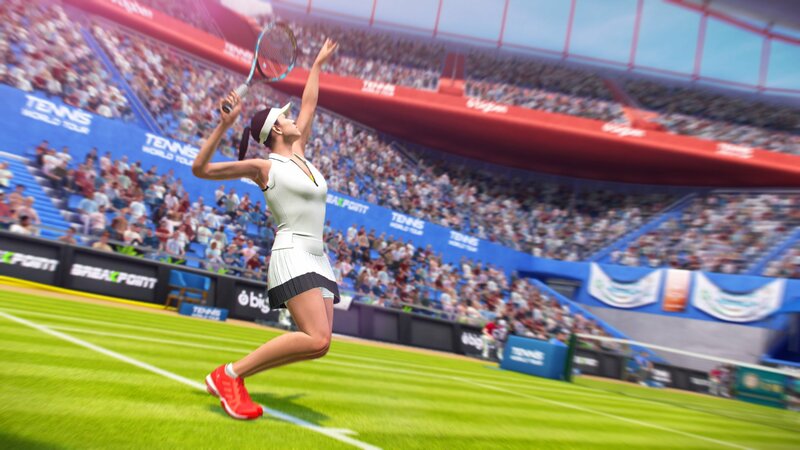 Despite its simplicity, the career mode meets the needs of a sports game.When you think there is nothing more dead than the different elements that make up the tennis court itself, the party announcer appears. We are before the typical commentator that makes you think about his mere inclusion in the game: was it worth it? The answer is no. Incoherent, repetitive and inane, you wish that, at least, it has cost little money to Breakpoint Studio. It is not something that escapes the rest of the sound work: it is poor in the effects of the ball and the public contributes little dimension and epic to the game; It is as if they did not understand the game. It would not be a big problem if I did not constantly get you out of the game in the early stages; With the passing of the hours you only have to ignore it. As I said, you can not hesitate to have many animations in general, but it is not that you have done a great job in adapting licensed players in the game or the different models available to create our own star: Tennis World Tour goes short of faces , which produces an uncountable series of twins among the players that fill the top of invented players. The good news? That many of the playable benefits will invite you to ignore the present circumstances, although they are duties that the developer is forced to alleviate in a future sequel. There is work, but in the important thing many things have been done well. 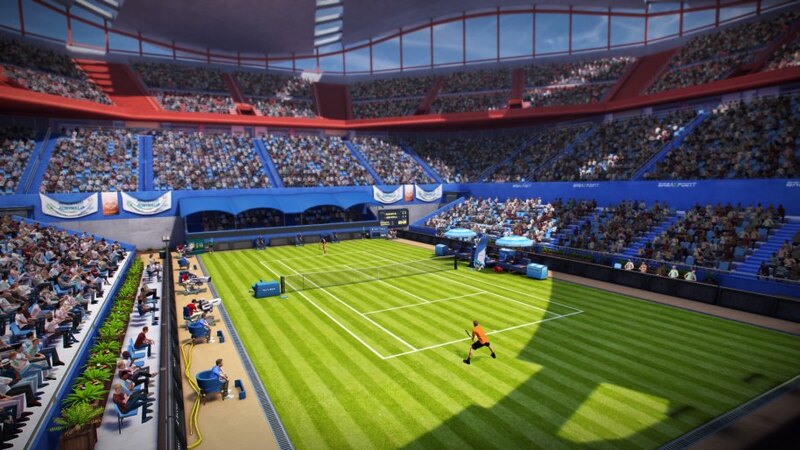 The way of the starWhat we like most about Tennis World Tour is the playable execution and many of its decisions taken at the design level. The button mapping allows you to easily execute balloons, flat, cut and topspin shots, and the execution of the different decisions made on the track will directly influence the player’s fatigue . The difference between an exhausted and a fresh tennis player is evident in the different sets of the match; applying an aggressive game will allow you to score points, but the reality is that you do not know how you will reach the end of the game. Measuring your movements, sprints and assessing your performance (and studying the opponent’s decisions with their energy) is key to victory. Despite its simplicity, the career mode easily meets the needs of a sports game. The season is divided into twelve different activities, in which the player can enjoy different training to help improve their statistics, exhibition games with which you can add valuable experience or activities and special events with varied effects that will affect our fatigue , coach or manager, to which we will accede as we go adding new levels or climbing positions in the ranking of tennis players . How? Playing the different tournaments of the race. We will have to manage the money we have to know if we can register for the tournament, the accumulated fatigue (in which the contested matches affect, the distance to our next destination or the pre-championship breaks), but also the skill cards that we have equipped before participation. The cards are passive skills that are activated at specific moments of the game. For example, a set that is set against us can activate a bonus letter of energy, power or serve to help us overcome the game. There are dozens of unlockable cards and they are the elements that help make a difference in games. The evolution of our tennis player goes hand in hand with his assistants, who will add experience that will help unlock new cards. The user, according to experience and improve positions in the ranking, will also access new items and points of improvement that will help you specialize the areas in which the player feels more comfortable. We found it a bit strange that Breakpoint Studio has not accentuated the playing conditions of playing on clay or grass, or that the differences in the energy consumed by the athlete to play a match in Madrid or Quito do not differ too much, but it is a personal appreciation that, no doubt, affects more in long games than in short game sessions. Young aspiring to the world topThe challenge of Tennis World Tour , without a doubt, is at the highest levels of difficulty. I would even say that it becomes somewhat incoherent in some game halls at the easiest levels, but in the hand of the player is to look for an appropriate challenge once it overcomes its extensive and detailed tutorial and understands the foundations of the game. Of course, it is unquestionable that something is fair game modes and that the absence of online and mode pairs until it is released as a patch in the future could despair to some buyers, as well as the few licenses of female tennis players or male absences , but the title, at least, is grateful in the playable and has good ideas. 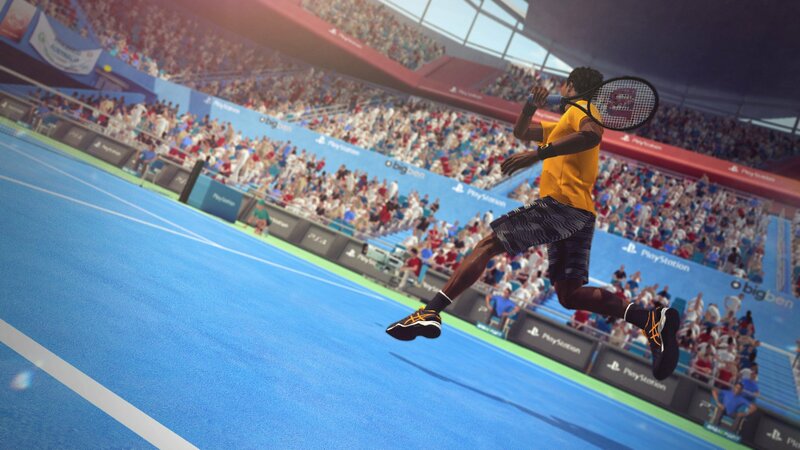 No one doubts the peculiar situation of virtual tennis in today’s video game: after a major drought of years without games of racquet sport on the horizon, Break point Studio signs the second of the three tennis games planned for the present 2018. 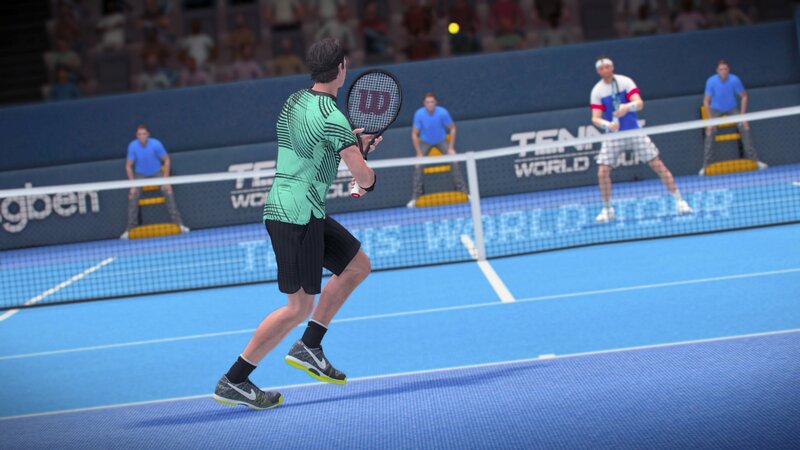 Being, unquestionably, the best of the realistic exercises launched to date, the playable and technical reality of Tennis World Tour has two sides: yes, there is still a long way to go until it becomes one of the candidates to enter the top of the ATP, but it is also a product with interesting ideas that, if you keep adding new deliveries, could allow you to become the tennis player of the category that we all hope for. 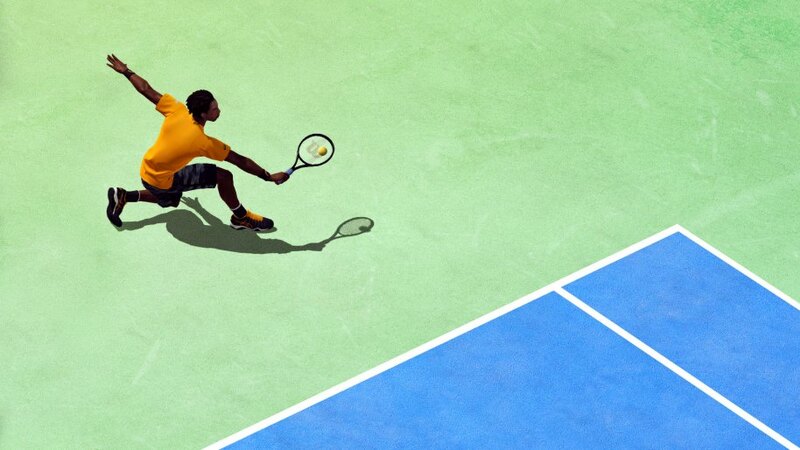 Fun and demanding, Tennis World Tour has a good control and an intelligent decision in managing the fatigue of the tennis player when facing a match of the highest level. An entertaining career mode in which to take our tennis player to the highest standards of world tennis, varied and with the option to unlock new cards that help add new layers in the playable. Pity of its poor graphic and sound presentation: they end up ballasting many of the good ideas taken in the design by their creators. It has room for improvement.